It’s a plausible theory, but then you’d have to ask Michael Jordan or Kobe Bryant the same question. 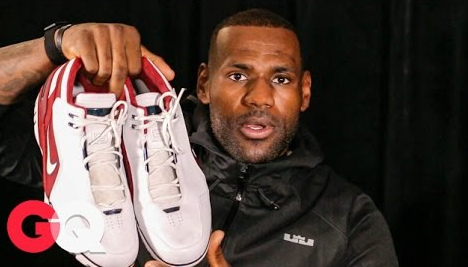 During a sitdown for GQ’s “Grails” series in the video below, James was frank in explaining that he feels how Michael Jordan may have felt when going against players donning his footwear. “When I was a kid and I used to see guys wear MJ’s shoes when they played against MJ I’m like, ‘Oh MJ got a little mental edge over those guys,'” LeBron says. Harsh words from the king.